A section of the Firhouse Road. GARDAÍ ARE APPEALING for information after a man was discovered in a serious condition in Firhouse, Dublin. Gardaí said the man, who is in his 30s, was found shortly after 8pm on the Firhouse Road. He was taken to Tallaght Hospital where he is in a serious condition. A garda spokesman said: “At this stage in the investigation Gardaí believe the man received his injuries accidently, as a result of a fall. “Gardaí are seeking witnesses to the incident and would particularly like to speak to a woman, described as in her late 30s or early 40s, with blonde hair and driving a large black saloon car (possibly a Hyundai). The woman had a child with her in the car.This woman stopped at the scene to help but let before Gardaí arrived. Email “Garda probe after man found in serious condition on Dublin road”. 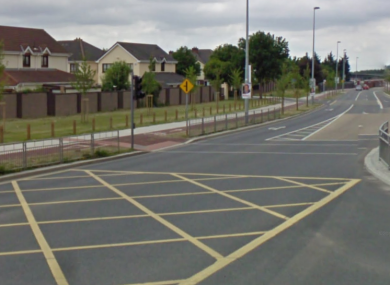 Feedback on “Garda probe after man found in serious condition on Dublin road”.